Venezuelan opposition leader Juan Guaido said on Sunday he would return home to lead new protests against President Nicolas Maduro on Monday, running the risk authorities arrest him given that he flouted a travel ban to leave the country last week. Guaido left Ecuador earlier on Sunday after spending the past few days touring Latin American nations to muster support, but he did not disclose where he had gone next or how he planned to return to Venezuela. 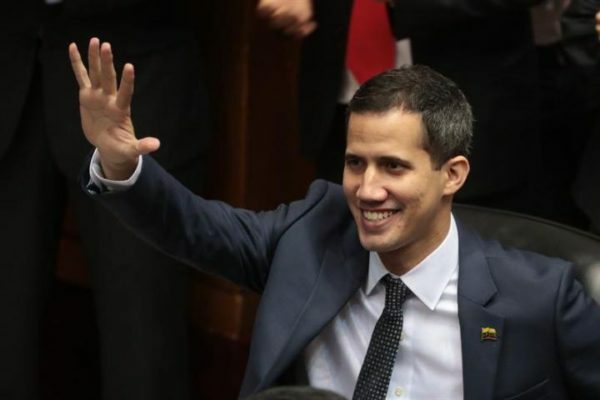 Guaido, who is recognized as Venezuela’s legitimate head of state by most Western countries, left the country last week to coordinate efforts in Colombia to send humanitarian aid into Venezuela. But troops loyal to Maduro blocked convoys of aid trucks sent from Colombia and Brazil, leading to clashes that left at least five people dead along the Brazilian border. Guaido said during a broadcast on Twitter on Sunday it would be a “historic challenge” to return. He has called for new protests on Monday and Tuesday during the Carnival holiday period. “If the regime dares, of course, to kidnap us, it will be the last mistake they make,” he said. After traveling to Colombia, Guaido visited Brazil, Paraguay, Argentina and Ecuador to shore up Latin American support for a transition government that would precede free and fair elections. He had flown to the Ecuadorean port city of Guayaquil after meeting with Ecuadorean President Lenin Moreno in the coastal town of Salinas on Saturday. To arrive in Caracas by Monday morning, he could take commercial flights from Bogota or Panama City. The Venezuelan Supreme Court imposed the travel ban after he invoked the country’s constitution on Jan. 23 to assume an interim presidency. Maduro, who retains control of state institutions, says Guaido is trying to foment a U.S.-backed coup against him. The United States on Friday ramped up its attempt to dislodge Maduro from power by imposing new sanctions and revoking visas. The United States is warning the Venezuelan government of Nicolas Maduro not to take action against opposition leader Juan Guaido, who plans to return home on Monday. Guaido has urged supporters to stage huge demonstrations coinciding with his arrival from a Latin American tour as a way to pressure Maduro to resign as president. Workers early Monday were setting up a stage in a Caracas plaza where demonstrators plan to gather.